10 Best PR is pleased to launch a new award celebrating industry excellence: the 10 Best PR Award. The top recipient for February is Best Tech PR Firm, a full-service firm with offices in multiple locations across the United States. 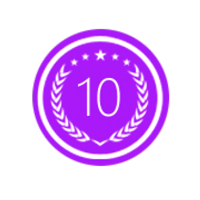 10 Best PR, as an emerging awards site for top public relations companies, 10 Best PR is pleased to announce the top three recipients of the first Best Tech PR Firm Award. For the month of February, 360 PR won the highest honors, with Strategic PR Group ranking in second place and PR Girl Inc. receiving third place. 360 PR is the top PR firm located in the United States, according to 10BestPR. As a full-service agency, 360 PR works with small and large companies throughout the world. 360 PR has offices that are located in Boston, Washington, D.C, San Francisco and New York. 360 PR partners with clients throughout the world to create compelling campaigns. Strategic PR Group is the second-place winner of the monthly award. In its role as an exemplary tech PR firm, Strategic PR Group has received various recognition for stellar services, including Financial Consultancy of the Year, Greater China Independent Agency of the Year, Public Relations Agency of the Year and Asia Pacific Network of the Year. Strategic PR Group has offices in Hong Kong, Taiwan, Malaysia, Beijing, Singapore, Shanghai and Guangzhou. Strategic PR Group offers services in financial communications, digital media communications and corporate marketing. PR Girl Inc. received third-place honors for its outstanding work as one of the country’s leading tech PR firms. As a PR and marketing agency located in San Francisco, New York and Los Angeles, PR Girl Inc. helps companies grow their brands and increase brand recognition. Eva Valdebenito is the founder of PR Girl Inc. With her insight into best media practices for public relations, she has the knowledge to help companies spread their messages to various demographics. For brands that want to become household names, PR Girl Inc. can help them make their mark. Each month, 10 Best PR reviews top public relations firms using quantitative and qualitative ranking points and algorithms. The awards for February’s top tech PR firms were based on site traffic, SEO rankings, online research and proprietary analytics.